Republicans have a long and rich history with basic principles: Individuals, not government, can make the best decisions: all people are entitled to equal rights: and decisions are best made close to home. The symbol of the Republican Party is the elephant. During the mid term elections way back in 1874, Democrats tried to scare voters into thinking President Grant would seek to run for an unprecedented third term. Thomas Nast, a cartoonist for Harper’s Weekly, depicted a Democratic jackass trying to scare a Republican elephant – and both symbols stuck! 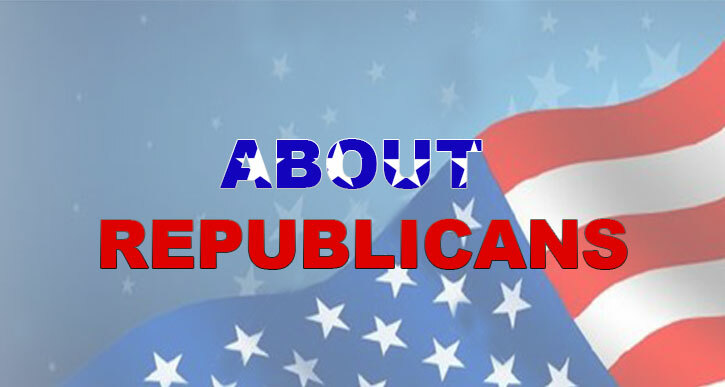 Presidents during most of the late nineteenth century and the early part of the twentieth century were Republicans. While the Democrats and Franklin Roosevelt tended to dominate American politics in the 1930’s and 40’s, for 28 of the forty years from 1952 through 1992, the White House was in Republican hands – under Presidents Eisenhower, Nixon, Ford, Reagan and Bush.